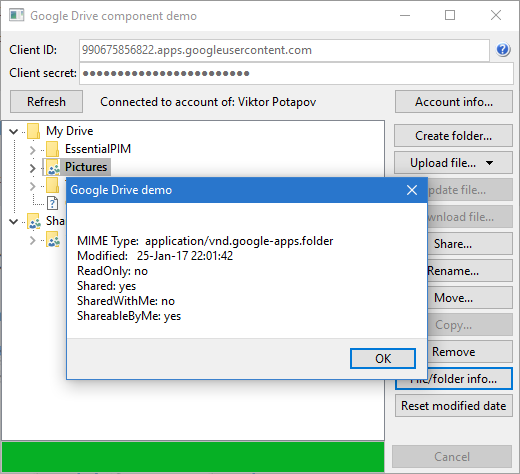 Google Drive Delphi Component is a non-visual component that allows to work with Google Drive (including Documents) using Delphi. The component supports Delphi 7 and higher versions and works directly with Google using official API. Official API use guarantees maximum compatibility and fewest possible modifications to future versions. 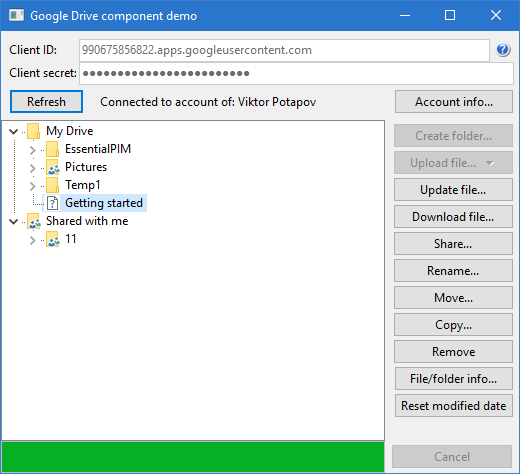 Browsing Google Drive and adding items to TreeView.